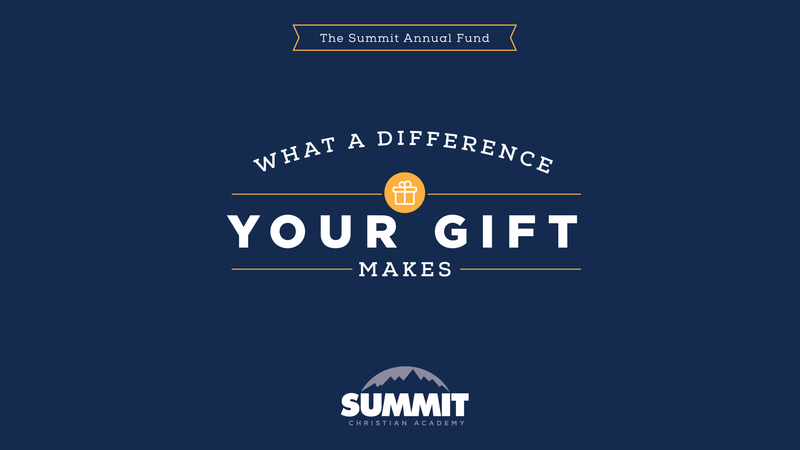 Summit Christian Academy is blessed with a loyal community of charitable supporters. Your gift makes a difference by enabling us to provide resources that help students academically, socially, and spiritually. We truly appreciate your gift of any amount. The Climber’s Club is the recognition of current students’ families, alumni, grandparents, and friends who have invested in strategic school advancements by making a tax-deductible gift to Summit Christian Academy. These special financial gifts have fulfilled key infrastructure projects affecting academics, spiritual life, athletics, and fine arts. Each year, Summit students partner with the city of Broken Arrow and local charities to complete park projects, neighborhood beautification, food pantry service, and multiple other special projects. This day is funded through the generous support of local businesses and private individuals. Each year, Summit’s Development Team hosts the Summit Classic at Indian Springs Golf Club. Participants include a wide variety of men and women, including local celebrities and dignitaries.